Under Construction;With a modernly designed floor plan, the 2,045 square feet Lantana is D. R. Hortons most popular single story plan. The 94 ceilings enhance the already spacious feel of this open concept home, and upgrades throughout including fully tiled living areas and crown molding make this home feel grand yet inviting. The finely appointed kitchen includes granite countertops, thirty-six inch cabinets, a corner pantry, and a large island that overlooks the great room and dining area. A powder bath is conveniently located off of the living area for guests. The spacious master retreat overlooks the back yard and includes double closets, a granite double vanity, and separate shower and garden tub. Upon entering the home, the front two bedrooms and second full bath are offset to the right, and the fourth bedroom is down a hallway to the left, creating a nice added privacy for those rooms. At the back of the home, a covered lanai provides the perfect place to relax or dine alfresco. 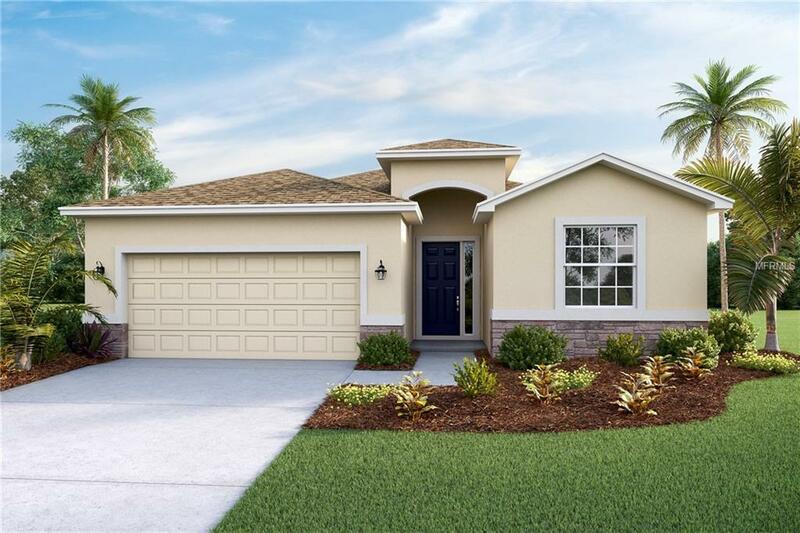 With the option to have either three additional bedrooms or two bedrooms and a den, the Lantana is a versatile plan that can fit the needs of any family.Pictures, photographs, colors, features, and sizes are for illustration purposes only and will vary from the homes as built. Home and community information including pricing, included features, terms, availability and amenities are subject to change and prior sale at anytime without notice or obligation.